Jack broadcast Elkhart and area sporting events for nearly 25 years, successfully filling the role previously held by the popular Eldy Lundquist. Jack was known for his own style of play-by-play and was especially noted for his intelligent, insightful sports commentary … usually spiced with wit, sometimes caustic. 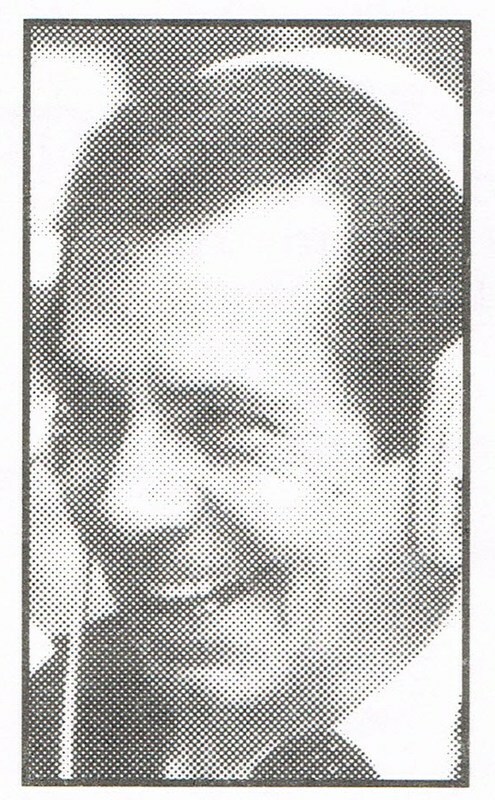 Jack came to Elkhart in 1963 following a tenure in Lexington, Ky., where he did play-by-play of the University of Kentucky football and basketball games, other college teams and numerous high school events over WLAP. He filled in for Eldy in 1963-66 on WTRC broadcasts of high school events, then in 1967 became sports announcer/anchor/director at WSJV-TV and at the same time sports director of WTRC radio. Jack dropped the TV position in 1980, but continued to do prep football, basketball, baseball, and such other events as the Goshen Relays. In all, he broadcast 21 Indiana High School Basketball State Tournaments. He won the Indiana Associated Press Play-ByPlay/Sportscasting First Place Award five times. Jack began doing Notre Dame basketball on WTRC in 1967, then from 1983-88 moved to WGN radio for the Irish contests. Since 1988 to present Jack is play-by-play and network coordinator, Host Communications Notre Dame Network.